My life is more peaceful since moving to Denmark. It’s not as crowded here, and although Copenhagen is like many cities, with its large corporations and highly competitive jobs, it’s relatively quiet, I like quiet. I can get a regular break 5 minutes from the office, where I sit down on a bench and the only conversation available is with the ducks who come and say hi. Perfect during a busy day of meetings. People seem content here. Western media continually cites Denmark as one of the happiest nations on earth. Yet after being here for 6 months, I can say that in my experience it’s not the happiest, what it probably is, is the most contented. I live in what is seen as a rich neighbourhood, my neighbours have expensive cars and houses. Yet they’re leaving for work at a reasonable hour in the morning and are already home when I return in the evening. They’re also at home on the weekends. To work in the UK and have the sort of income many of these people have, would mean anything from 60-80 hour weeks in the office. Not so here, they prioritise home time with family and friends, and their work place doesn’t penalise them for it. Seeing how content people are has helped me see differences in how life is here, compared to the UK or US. Danes have no need to worry about the cost of utility providers, as much of it is controlled by the government (to ensure fairness). They don’t have to worry about losing their job, as they get looked after by the government while they look for a new one. They have no need to concern themselves with hospital bills and healthcare, as it’s all provided free to everyone (and contrary to some of the US propaganda, it actually works). It’s very expensive here and saving for retirement is still not a worry, as the government ensures you are looked after when elderly and no longer working. So, the nation of Denmark is no more happy than other western nations I’ve visited. But they do appear more worry free, at peace with life and very content. Having an ecosystem to take many of the worries away and protect people seems to work. In fact, isn’t this what government was created for originally? So without getting political, I wanted to share a life lesson from my short time here in Denmark. Create your own kind of safety net, one that eliminates worry in the present and worry for the future. We don’t all benefit from a proactive government like Denmark. So here are 3 ways I’m achieving a worry free life. 1. Consume less news media – Since I stopped watching the news many years ago, I’ve not only felt a reduction in anxiety and darkness, I’ve made more time for happier moments. It turns out news doesn’t just exist to inform you, it is also there to conform you. The Guardian (somewhat ironic) has an excellent piece on why giving up the news makes you happier. 2. Focus on generating wealth over a job to pay the bills – Invest every spare bit of money you have at the end of each month. Make it grow. Whether it’s $5 or $500. Read The Simple Path to Wealth by J L Collins and look at the data as well as the methods he describes. I have high risk savings in cryptocurrency and lower risk in Vanguard index funds. This is my f#ck you money. That is money I can live on if I want to quit my job. A lot of worry goes away when you don’t have to work. You don’t have to be wealthy to be worry free, yet having any kind of buffer that grows, no matter how small, has a surprising impact. 3. 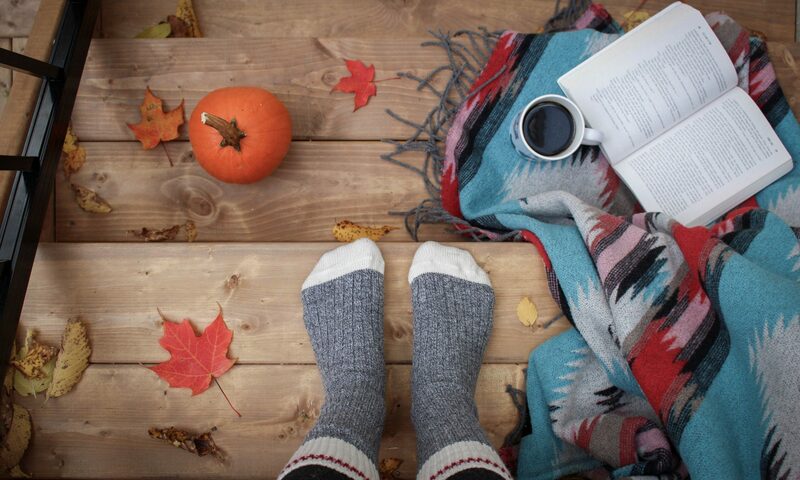 Embrace Hygge in your life – This 3rd part is the one I’ve added since being here in Denmark. In essence, it means creating a warm atmosphere and enjoying the good things in life with good people. There are many websites and books available covering Hygge, my favourite website on Hygge is this one and book is this one. So for those who don’t have the Danish government to take those practical worries away, why not take control and design safety your own way? From small moments, small investments and extra time for happiness, it’s easy to see you don’t have to have a high income, nor do you have to live in Denmark to have contentment in your life.